This timeless two-tone ceramic bracelet watch is aesthetically pleasing from every angle. Featuring four diamond hour markers, this chic black dial is set to shimmer. 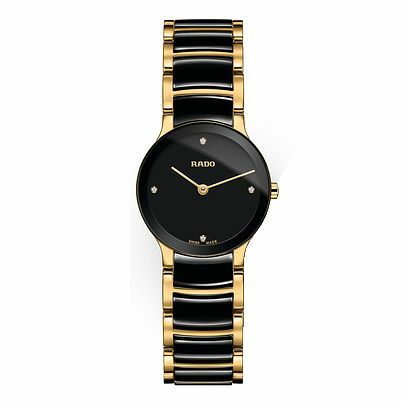 A sophisticated black polished bezel sits upon a two-toned black and gold ceramic bracelet. This Swiss made timepiece ticks boxes for both appearance and functionality.